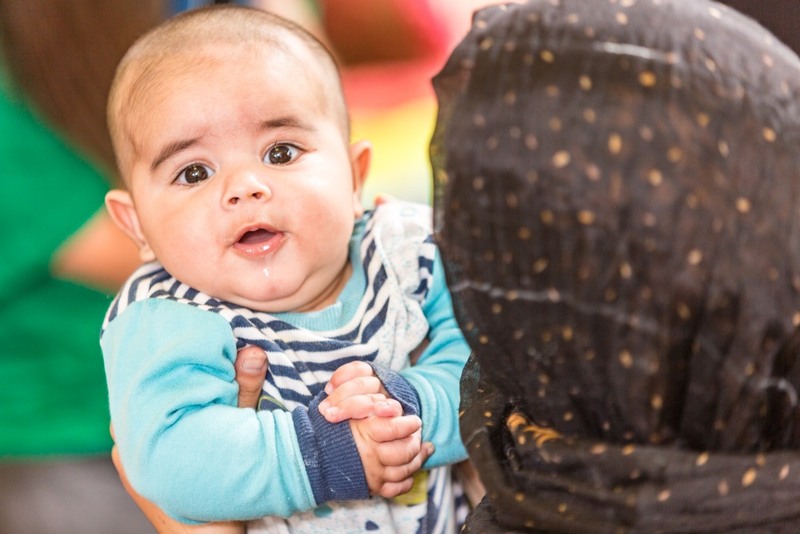 Our Family Nurse Partnership (FNP) project has been busy working with the FNP National Unit and Dartington Social Research Unit to monitor the effectiveness of an adaptation they’ve made to the programme here in Bradford. The adaptation helps mums ‘mentalise’ their baby, which means helping them develop the ability to think from their child’s point of view and consider their thoughts and feelings. A child’s social and emotional development is incredibly important: if a child feels understood it helps them feel they have a safe base and a sense of self-worth from which they can begin to explore the world in a healthy way. Bradford FNP has introduced new materials and activities during the pregnancy period which start to ask questions around what a child in the womb may be thinking and feeling. These ‘facilitators’ help stimulate discussions about the positive effects of activities such as mums and dads singing to their baby in the womb. They also help start discussions about more negative effects on a foetus such as if they hear lots of arguments that are taking place outside the womb. Once the baby is born the discussion about what the baby is thinking and feeling continues, usually during visits from the Family Nurses while they are doing practical activities with the parents and baby, such as discussing the importance of getting down on the floor and playing with their baby at their level. The FNP National Unit met with mums locally to ask them about the adaptations have made and found that the facilitators used in pregnancy have been well received by the mums. Some mums and dads said they did not realise that a baby in the womb may be affected by things taking place outside the womb. As a result of the feedback from the parents and Family Nurses, the FNP National Unit is rolling out the facilitators across other FNP sites. This is great news!